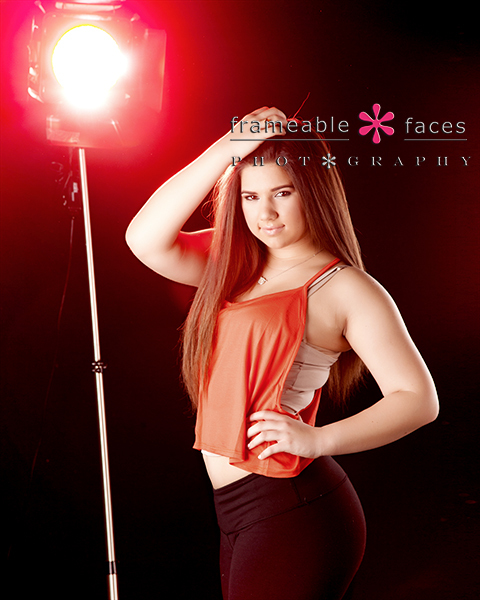 A Spokesmodel Session With Annabel 5 Years Later! 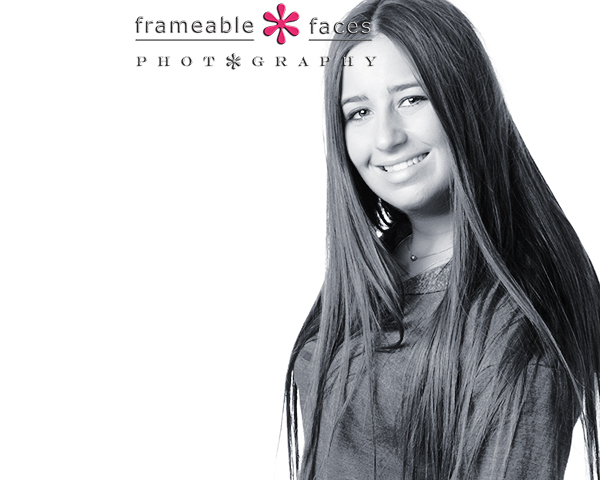 A spokesmodel session with Annabel 5 years later? Later than what? Let me explain. 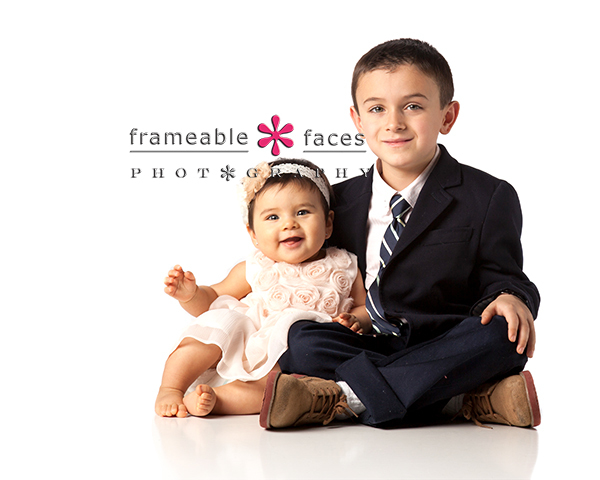 Almost 5 years ago a 12 year old Annabel was in the mall with her dad not too long after we set up shop in our studio and she brought him in here and told him they needed to do some family pictures! He listened and we did a really fun outdoor fall session with her dad, brother and grandparents back in 2009. We also photographed Annabel’s brother Harry for his senior photos, one of which is featured here (he’s the one with the flaming baseball bat). We knew they were good people from the beginning and we have been talking to Annabel about being a spokesmodel ever since. Next we moved to the black for this one – she looks great!!! 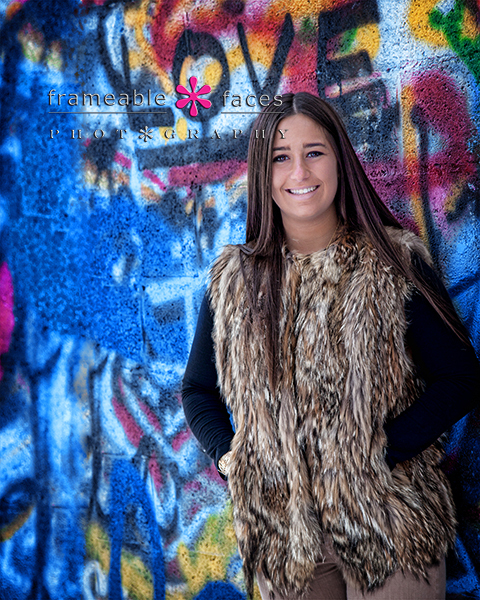 And here is one of the resulting photos with the graffiti wall – we love graffiti and we hope to get some more urban settings as the weather breaks (if it ever does) with our spokesmodels so stay tuned. For now we hope you enjoyed these photos of Annabel! Sierra’s session starts a little trend with the class of 2015 spokesmodels as the first of three younger siblings of former seniors of ours and she is also one of five in this class whom we have photographed before. Sierra actually appeared on the cover of our brochure from last year with the rest of her wonderful family, and we photographed two of her older siblings for their senior pictures featured here and here. Sierra’s family has a strong athletic tradition and we of course wanted to highlight that here, but that was only a part of her session, and we will get to that a little later. There are plenty of sides to Sierra so we wanted to present some options for the senior who can display versatility! The “glamour AND grit”!!! For now let’s start with super cute. 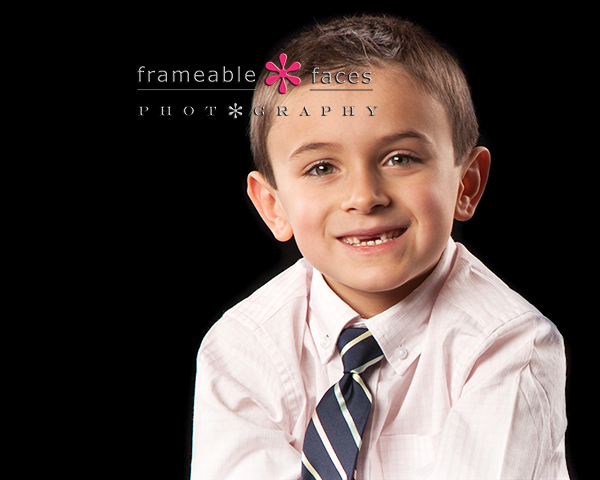 Just a simple white background and a nice smile can work every time and we like poses that frame the face like this one. 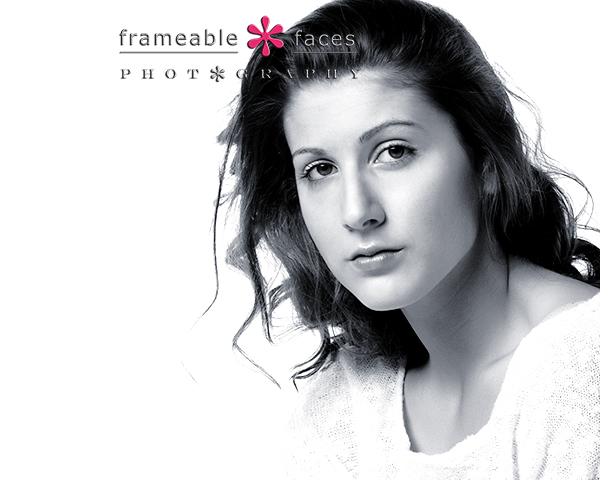 We also like a thoughtful pose up close in black and white like this next one – stunning! Glam, grit, GREAT!!! 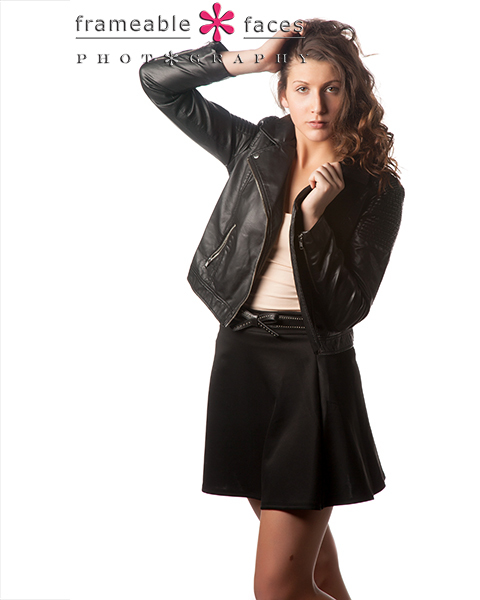 @SierraWangler5 spokesmodeling and on fire!!! We have always been a big fan of setting things on fire here – athletic equipment, instruments, anything but the senior! We may not have invented this next idea but it was a first for us. 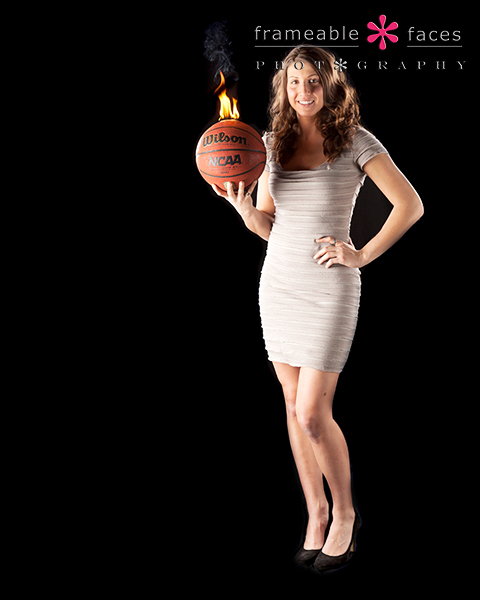 We loved the idea of combining the “glamour and grit” in the same photo – beautiful girl, fantastic dress, hair and makeup done but with a basketball on fire – symbolizing the grace, toughness, and the demands of handling the pressure when the heat is on in a tough gritty sport like basketball. Here is the fabulous result! Enjoy! Okay now let’s take a trip outside into the snow shall we? 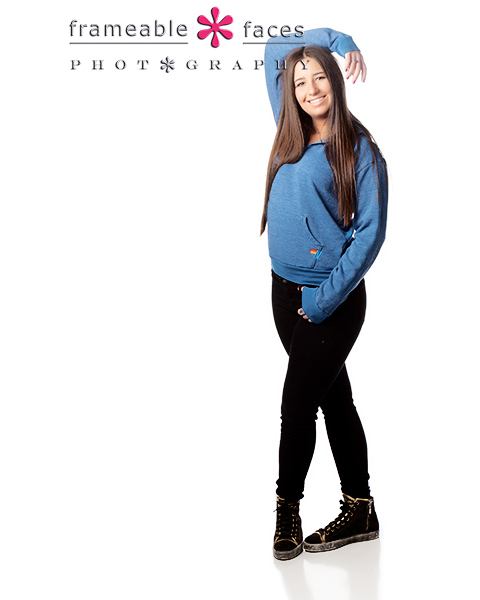 We love the playfulness of this next shot! 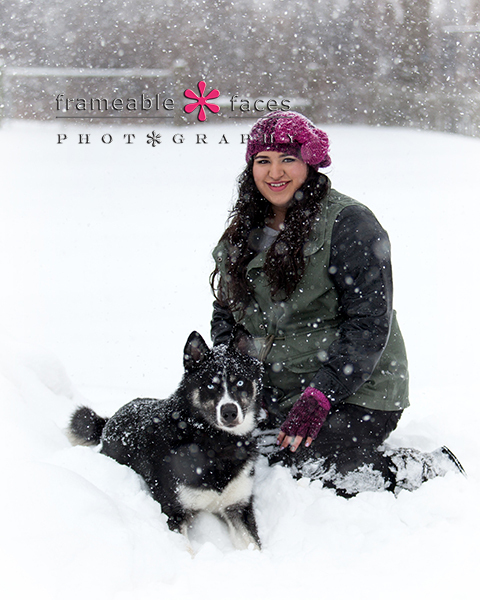 Here’s where the session really takes a Siberian turn… with Jessica’s Siberian Husky Diesel!!! You know you have taken a lot of photos when you have photographed two different four legged Diesels – although they were not both pups – the other Diesel was a horse! Meanwhile this Diesel was clearly at home in the snow and he was loving every minute of it. Running around and playing in the snow with plenty to say too. Love his coloring and we were able to get him to sit still just long enough to get this awesome shot with Jessica! A girl and her pup! Love it! 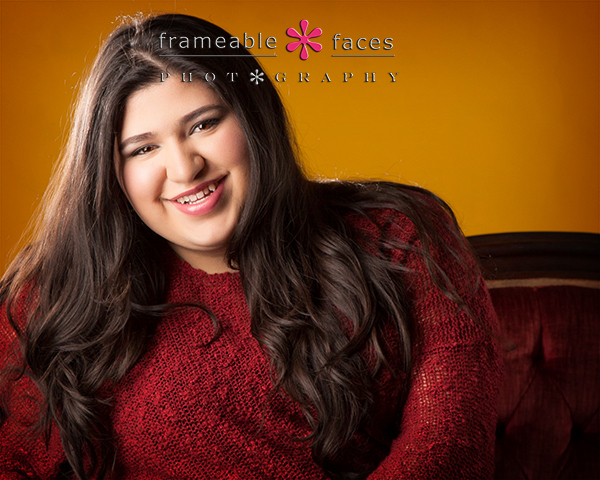 We hope you enjoyed these photos of Jessica’s Sublime Siberian Senior Session! We certainly enjoyed our time with her (and Diesel)!!! 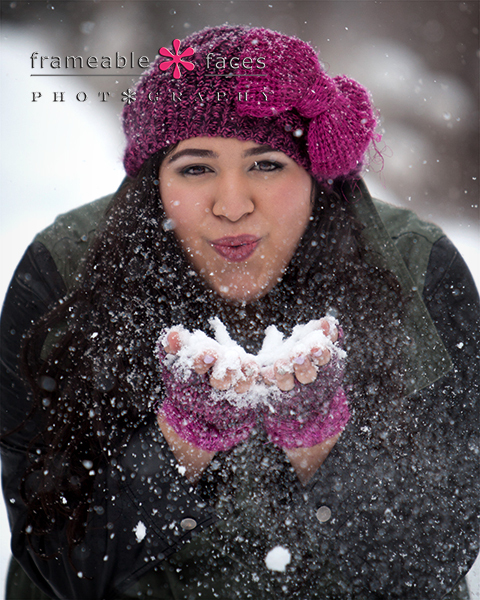 Leah – Senior Spokesmodeling In The Snow! Since we photograph our senior spokesmodels from January to April we usually get a few spokesmodeling in the snow which is fine since there actually is a little demand for snow pictures every year. This winter has been brutal and we have certainly been able to get all the snow shots we need already. However no matter what the conditions are each year it is rare that a day lines up so perfectly where you can get nice big fluffy snowflakes fluttering gently down from the sky. A day with no wind, not bitter cold – just right. We had one of these days ordered up just for Leah! But more on that later…. We started out in the studio so we could get some on the black background. 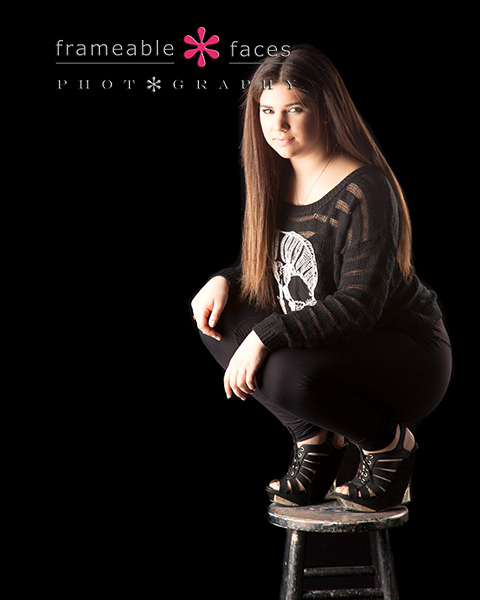 We used the black stool with the black once so far with this class but this look is a little different with Leah in black and crouching on the stool instead of sitting. We are planning on using the black for every spokesmodel girl at least for a few shots even if we don’t end up showcasing them all because 1) we love the black and it is very popular, 2) it is a dramatic look and very versatile and 3) we may do something fun with all of these photos on the black when we’re done with the 2015 spokesmodels – we’ll see… Meanwhile this next shot is a brand new look for us – a different take on being in the spotlight – literally! We love the way this turned out. We should also mention that hair and makeup for this session was done at The Beauty Lounge here in the Orchard Mall – hair by Tammy and makeup by Gloria. They are right down the hall from our studio and The Beauty Lounge is one of three great salons here in the mall. 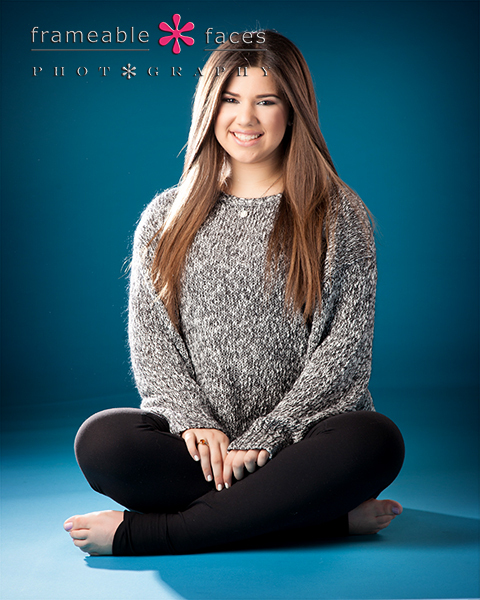 Next we broke out our cerulean blue backdrop and this next picture of Leah is just sweet and simple. At this point we were ready to go outside! We love the way Leah looks in the light dress against the white snow – white on white or black on black look great in the studio and the white on white looks great outside in the same way – it is an approach we have worked with in the past with great results, and it clearly worked again this time – spectacular!!! 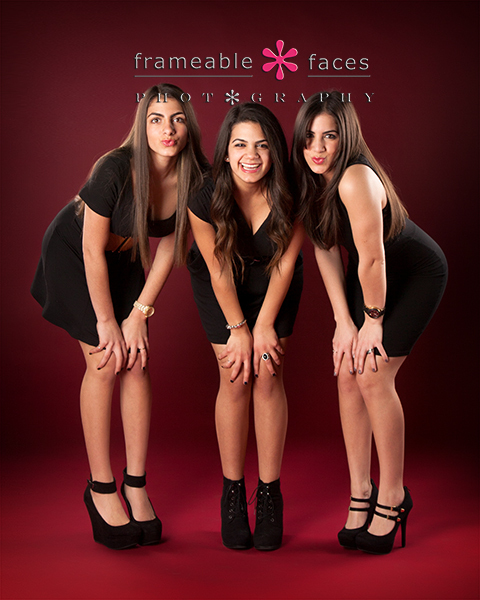 Stunning Portraits Of Our Three Favorite Sisters! 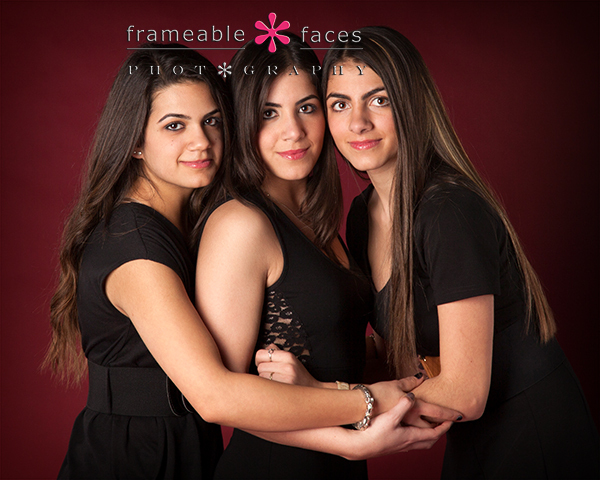 We are thrilled to present some portraits of our three favorite sisters together! You have seen these beautiful girls grace our pages before whether you have seen them here on the blog, on Facebook, our website or elsewhere. It would not even be a big surprise that if you have been around our studio a lot you have met at least one of them before. 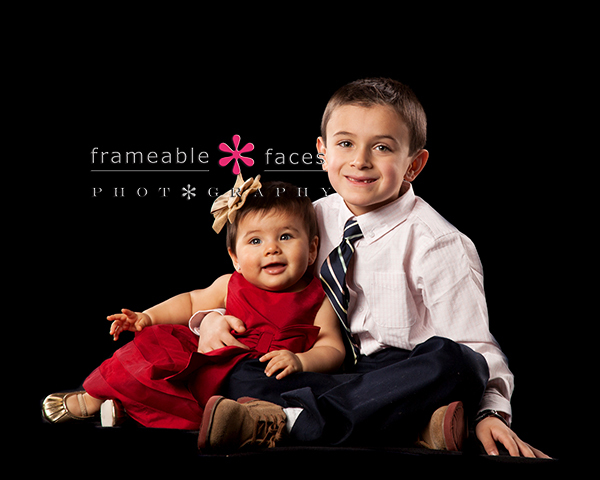 This is the first time we have had them in our studio together for a session and what a special session it was! @melyssaashley @kenzieed & @catpaigee!!! Sister session! Can you tell they were having fun? They are always a blast! Then we moved to the black background for a bit. Here is a highlight from the black with cream colors to match our silk chair. 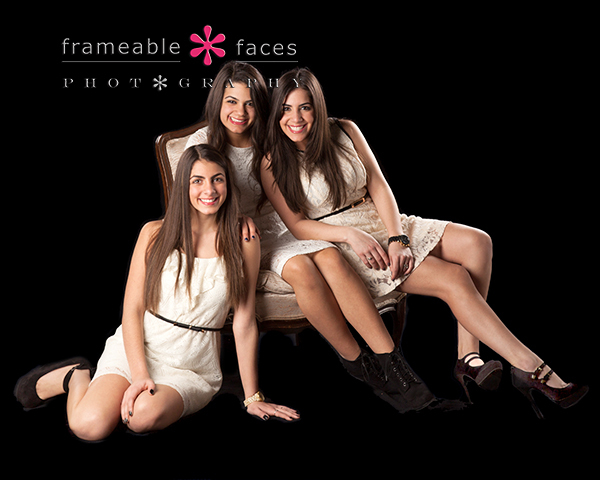 Love the way this turned out – granted it is tough to produce a bad photo of these girls! We hope you enjoyed these photos! The bond between sisters is pretty special and we were happy to be able to capture it and be a part of it for a little while! 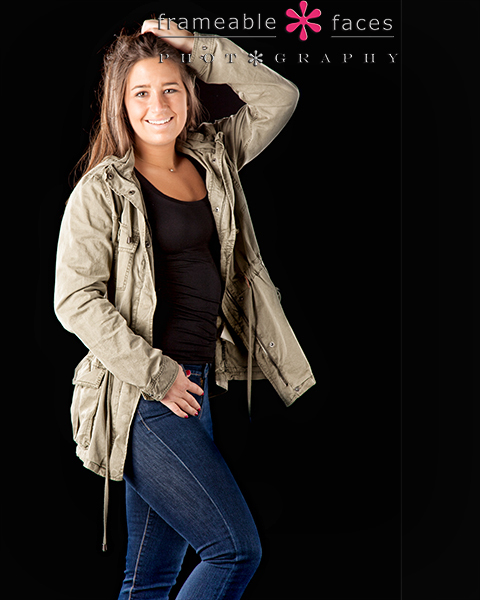 Ellery’s Entrance As Senior Picture Spokesmodel! 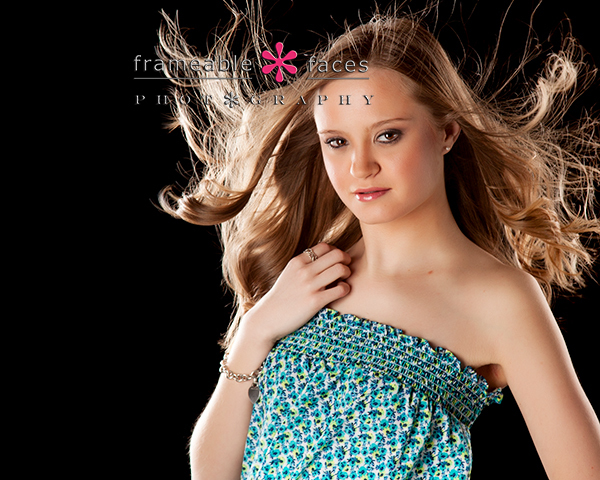 The “black and blowy” pose never disappoints – Ellery’s blonde hair looks amazing against the black background! Very dramatic and flat out stunning, you will see this set up repeated frequently in our posts because it is one of our signatures and every senior girl brings a little something different to it. The weather on Ellery’s day was particularly nasty and we wanted some extra time to tinker in the studio and she was ready for that with two full sized suitcases (and an overflow bag) so we could try a bunch of different ideas indoors. As much as we love them four sessions in the snow already is plenty. We have one more coming up in our next post and that is likely it for the snow. Okay so back to the photos! 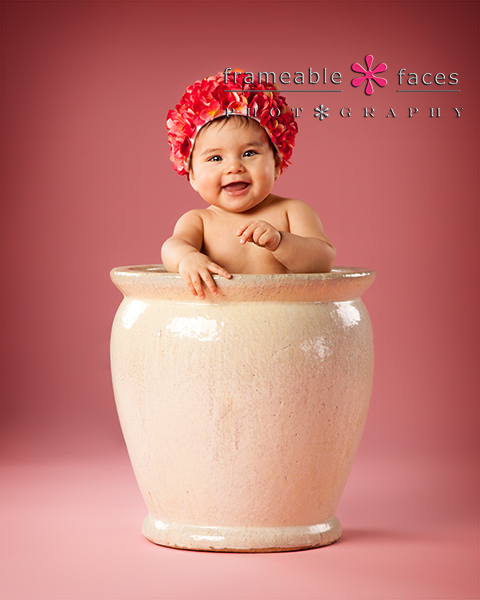 Next up staying with the black background we have Ellery in a really cute hat! Hats = GOOD! 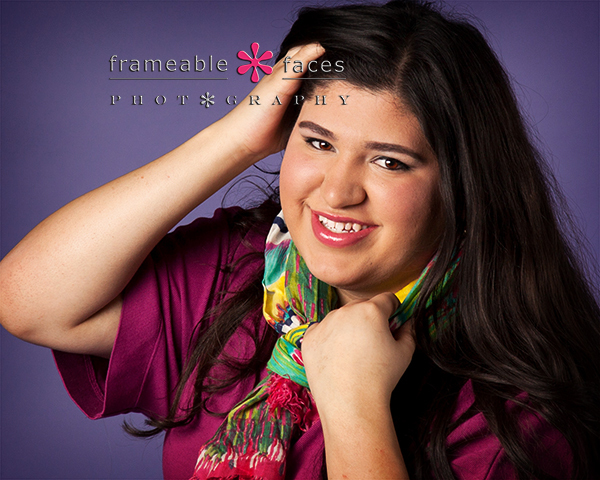 Accessories in general are great and totally encouraged for senior sessions! We built the spotlight setup ourselves last year – a little DIY idea Ally borrowed from another photographer friend of ours. There are a number of ways to do this – different colors, different levels of light and the glow of the spotlights on the edges of Ellery’s hair complements her dress here. Lastly the red backdrop made its first appearance for this year’s class. We like the rich color of this one together with Ellery’s winning smile. We hope you enjoyed these photos! Needless to say “Ellery’s entrance” into this years portfolio was unforgettable!